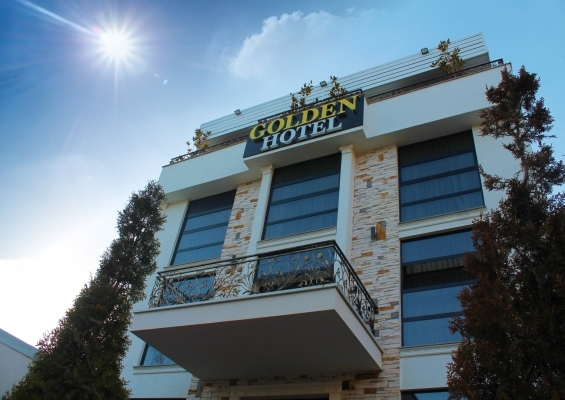 Golden Hotel - A real golden world! 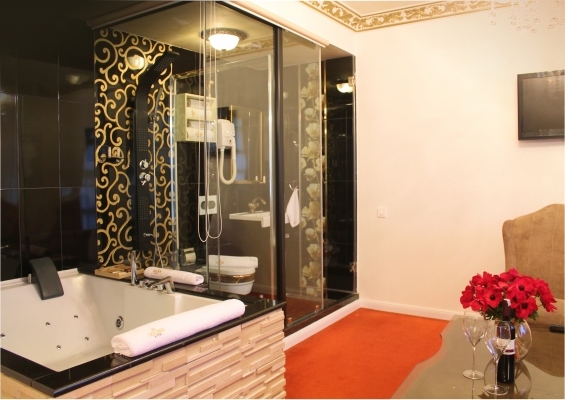 Since 2013 Golden Hotel has been seducing guests with its refine atmosphere and its quality services. 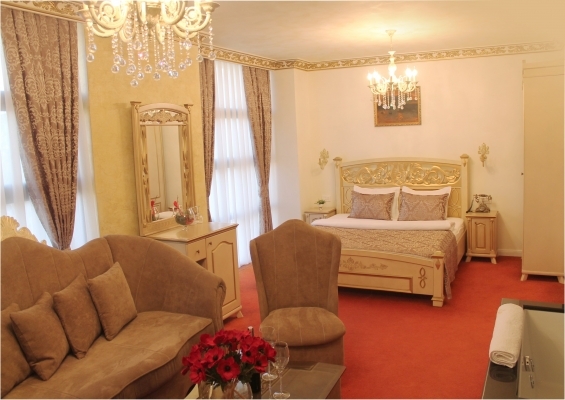 Golden Hotel is a golden world in itself. 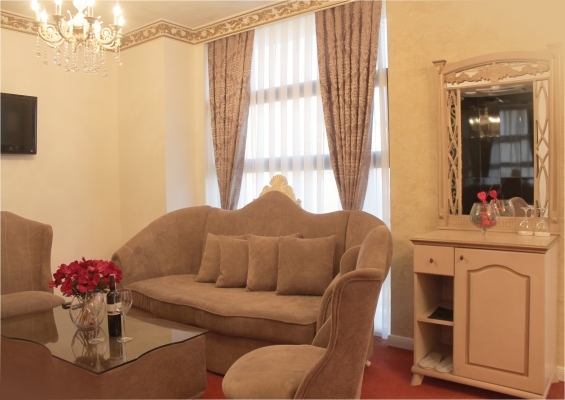 A world of calm and opulent ambient, with reasonable prices that offers a very welcoming, comfortable and relaxing place. With a modern architectural style, elegant decoration and top quality facilities, we provide professional 24h service for your quality stay. 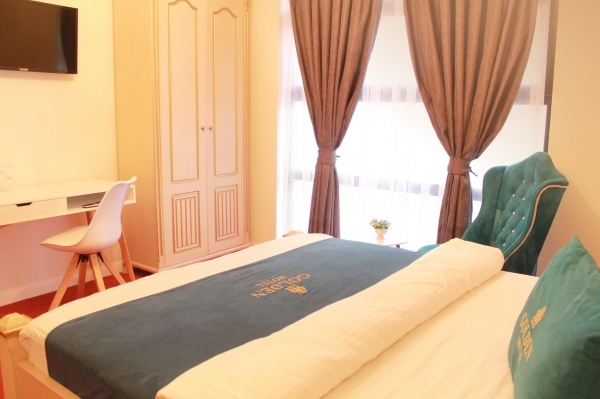 We offer you a spacious rooms with air condition, work desk, LCD TV with up to 150 channels, personal service, free internet / Wi-Fi and free parking. 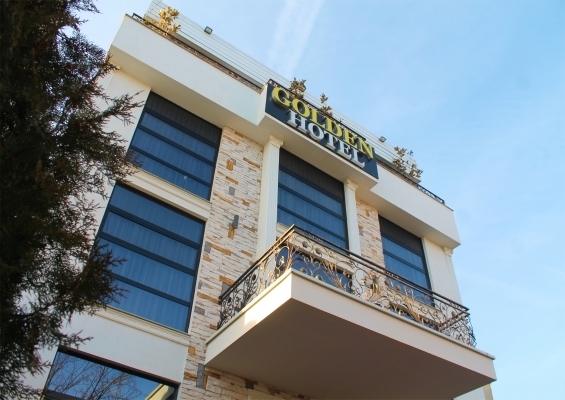 Golden Hotel is located in the center of Pristina, 5 mins away from most of Kosovo Government Institutions, UN Agencies, Commission and Council of Europe and 2 mins away from Hospital. Prishtina International Airport is 15 minutes away from the hotel. In order to adapt to the needs of our guests, we offer 13 spacious rooms of which 4 single, 3 double, 2 twin, 1 triple, 2 deluxe, 1 suite VIP. The Golden Kitchen has a high quality in preparation of dishes and recipes. 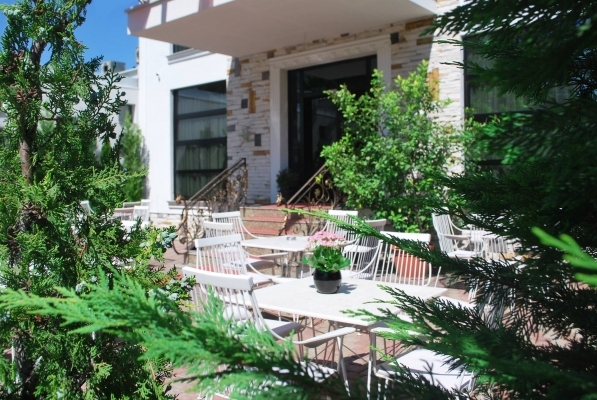 The restaurant is very comfortable with a quality service and maximum hygiene.